I have been taking photographs for about five years. 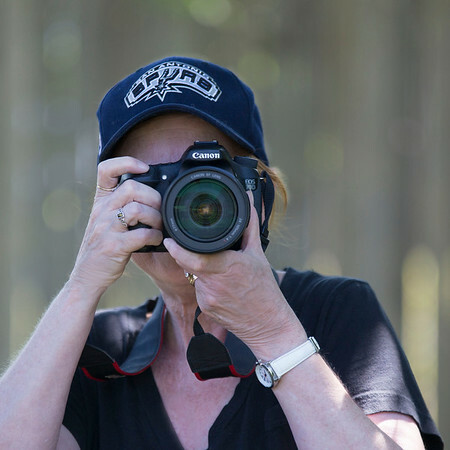 I started learning photography by myself, from ground zero, when I retired from my job as a medical librarian. Now three cameras, many lenses, and thousands of clicks later I am starting to like the way my photos look (most of the time) and I wanted to create this site to showcase some of the photos I am most proud of. I enjoy portrait photography more than anything--people, animals, and birds--but if it stands still long enough I will take a picture of it. The "Little Blue Dog" in the name is my tribute to my dog breed of choice, the Australian Shepherd. My husband and I have loved and shared our lives with five Aussies over the years since our first one, Temperance, came in 1992; we also opened our home to over 20 foster dogs, one at a time, during that period. Although we do not have a "little blue dog" (the blue merle variety) at the moment, our current dogs, Poe and Ginnie, are beautiful examples of two of the other color varieties of this versatile dog. You can see photos of them in the "Dog Portraits" gallery. I hope you enjoy my photos. You can reach me at littlebluedogphotography@gmail.com.